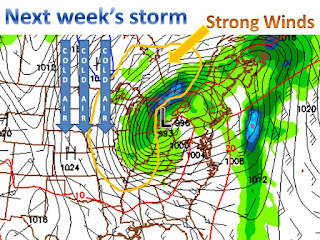 A deepening low pressure will pass through the Ohio River valley and bring strong winds to the midwest Wed and Thur. The counter clockwise spin in the low pressure will usher in cold air from Canada, due to the tight pressure gradient. The pressure of this storm will fall to near 992mb, which is equal to a low cat. 1 hurricane. 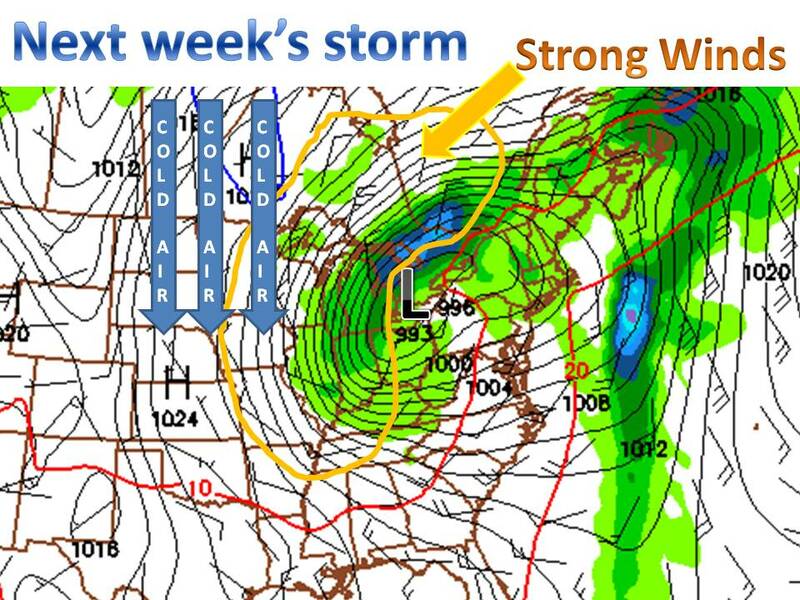 Although this is a strong storm, there will be little rain/snow for the midwest, with the exception in IL, MI, IN, but strong winds will be the main widespread factor (see map) with winds 25-40mph. Wind advisories may be needed in parts of WI, IL, and MI. Keep it here to midwest weather talk, updated at least once a day.